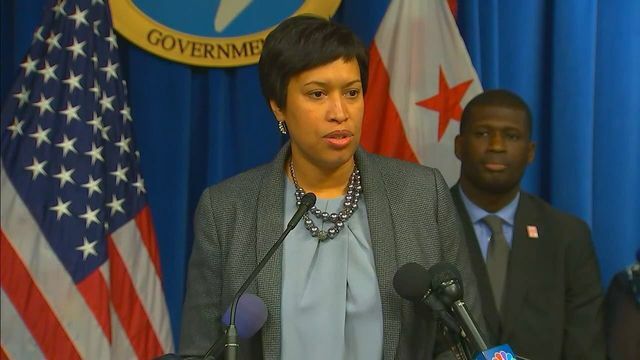 Washington D.C. D.C. Mayor Muriel Bowser called a news conference from the National Mall Friday morning to assure residents the District government would remain open and continue to provide uninterrupted service. “Regardless of whether or not the federal government shuts down, D.C. government will be open for business,” Bowser said. City officials reiterated Friday a potential shutdown would have no effect on city trash collection, traffic monitoring, first responders and public safety activities. D.C. Department of Public Works Director Chris Shorter said the District would be collecting trash on the National Mall and 126 other national parks throughout D.C. and servicing 372 litter cans on federal land throughout the city during a shutdown. “While we are picking up the slack for the federal government, I want to assure all District residents that the city services that they count on, such as trash, recycling collections as well as parking enforcement will continue as normal,” Shorter said. Deputy Mayor for Public Safety and Justice Kevin Donohue said the extra work for trash collection on federal land would amount to about $100,000 per week in personnel costs. Bowser said the city will be tracking those costs and plans to seek reimbursement from the federal government.